M5 Networks, a leading provider of cloud-based phone and business services, wants you to be their voice. 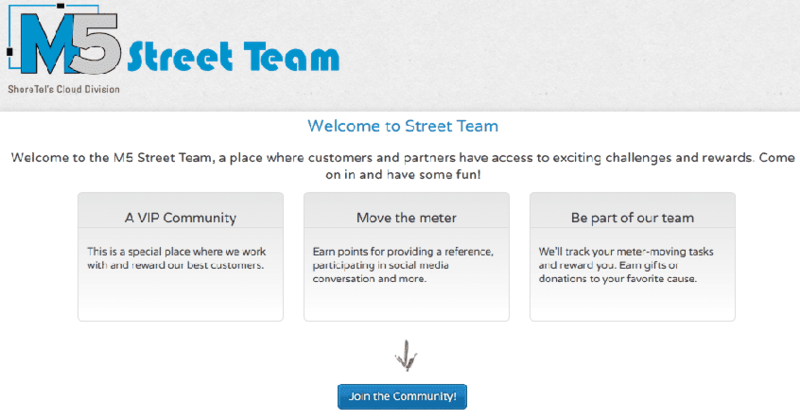 In June, 2012, M5, ShoreTel’s Cloud Division, introduced their “Street Team.” Now you might be asking youself the same thing I was – “What the heck is a Street Team?” It’s unlikely that there will be any flyers being passed out after rock concerts in this street team. 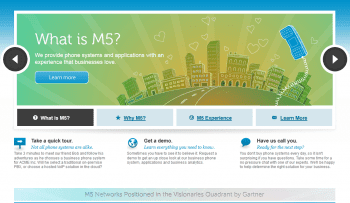 Members get points for mentioning M5 in their social network status updates, referring new customers to M5, or just interacting with other street team members.